Every night, nearly 60,000 Angelenos go to sleep homeless. They are families evicted due to job loss, veterans suffering from trauma, former foster youth, mothers and fathers, daughters and sons. More than 12,000 are chronically homeless, spending months and years on the streets and often suffering from mental illness and physical disabilities. The human and financial costs are tremendous, and the need for safe, affordable housing has never been greater. Research shows that providing services without housing, or housing without services is not effective. But by combining housing with supportive services such as job training, case management and health care, we can make a real impact. This approach, known as permanent supportive housing (PSH), has been proven to be effective and can cut government costs for the chronically homeless by up to 75%. In 2016, we partnered with a network of housing providers, lenders and foundations who committed to more than tripling the City’s production of permanent supportive housing units to 1,000 per year. This includes early funding to buy land and secure entitlements, as well as support for nonprofit housing developers and services needed to ensure recipients remain in housing. The homelessness crisis facing Los Angeles County is a solvable one. By joining with donors, nonprofits, funders and public and private-sector institutions, you have the potential to make a permanent impact. If we can focus attention and resources on the root causes of homelessness, we can build a future in which everyone has the opportunity to contribute to the strength, productivity and well-being of our region. 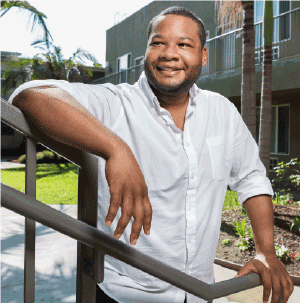 Created in 2015 to deal with the growing issue of homelessness in Los Angeles County, the Home L.A. Fund is one of L.A.’s most effective funders of permanent supportive housing. The California Community Foundation has committed $1.5 million over three years to more than triple the production of permanent supportive housing in Los Angeles, building 1,000 units per year. By giving to the Home L.A. Fund, you fund grants to L.A.’s most effective affordable housing developers, ensuring more Angelenos have a home to call their own. The Home L.A. Loan Fund is a one-of-a-kind, risk-free charitable investment option focused on fighting homelessness in Los Angeles County. Donor investments are pooled and used to provide three- or five-year seed capital to organizations building permanent supportive housing units for the chronically homeless. By jump-starting the process, this capital accelerates the pace and scale of production, creating more homes for our neighbors who need them most. All Home L.A. loans are guaranteed by CCF. At the conclusion of the loan, 100% of the initial investment is returned to the donor’s fund. Ending the homelessness crisis is a daunting challenge, and we have partnered with incredible organizations across Los Angeles County to make an impact. Below are just a few of our expert partners who can help you learn more about the crisis and how you can get involved in addressing short- and long-term solutions. Learn how Los Angeles County reached this point and discover innovative, effective approaches that have the potential to end our homelessness crisis.